1 team hasn't moved Stockport 41 23 10 8 74 36 38 79 DDrew 2 - 2 against Hereford on April 6th 2019.WWon 6 - 0 against Chester on April 9th 2019.LLost 0 - 1 against Blyth Spartans on April 13th 2019.LLost 0 - 2 against Chorley on April 20th 2019.WWon 2 - 0 against Curzon Ashton on April 22nd 2019. 2 team hasn't moved Chorley 41 23 9 9 80 39 41 78 DDrew 0 - 0 against Chester on March 30th 2019.DDrew 1 - 1 against AFC Telford United on April 6th 2019.LLost 3 - 5 against Altrincham on April 13th 2019.WWon 2 - 0 against Stockport County on April 20th 2019.LLost 0 - 1 against Spennymoor Town on April 22nd 2019. 3 team hasn't moved Brackley Town 41 21 11 9 71 40 31 74 WWon 2 - 0 against Guiseley on April 6th 2019.LLost 1 - 2 against Spennymoor Town on April 13th 2019.WWon 2 - 1 against Altrincham on April 16th 2019.WWon 2 - 0 against Boston United on April 19th 2019.DDrew 0 - 0 against Chester on April 22nd 2019. 4 team hasn't moved Spennymoor Town 41 21 10 10 73 48 25 73 WWon 3 - 2 against Guiseley on April 2nd 2019.LLost 0 - 3 against Ashton United on April 6th 2019.WWon 2 - 1 against Brackley Town on April 13th 2019.WWon 3 - 2 against York City on April 19th 2019.WWon 1 - 0 against Chorley on April 22nd 2019. 5 team hasn't moved Altrincham 41 20 10 11 84 55 29 70 DDrew 1 - 1 against AFC Telford United on April 9th 2019.WWon 5 - 3 against Chorley on April 13th 2019.LLost 1 - 2 against Brackley Town on April 16th 2019.WWon 2 - 0 against Nuneaton Borough on April 20th 2019.DDrew 1 - 1 against Hereford on April 22nd 2019. 6 team hasn't moved Blyth Spartans 41 19 9 13 72 61 11 66 WWon 3 - 0 against Boston United on April 6th 2019.WWon 4 - 1 against Nuneaton Borough on April 9th 2019.WWon 1 - 0 against Stockport County on April 13th 2019.WWon 2 - 0 against Guiseley on April 19th 2019.WWon 2 - 1 against FC United of Manchester on April 22nd 2019. 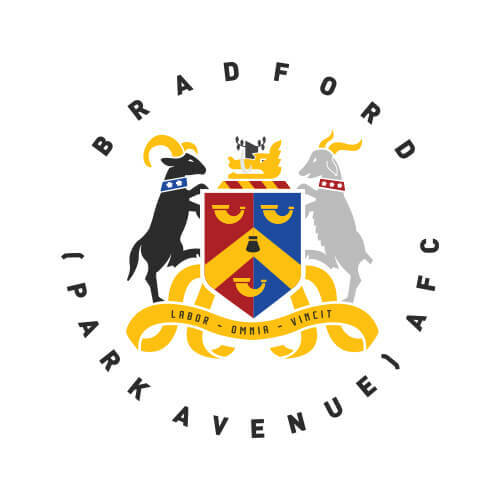 7 team hasn't moved Bradford (Park Avenue) 41 18 11 12 69 58 11 65 DDrew 1 - 1 against Alfreton Town on March 30th 2019.LLost 0 - 3 against Kidderminster Harriers on April 6th 2019.WWon 1 - 0 against Nuneaton Borough on April 13th 2019.LLost 0 - 1 against Darlington on April 19th 2019.LLost 1 - 3 against York City on April 22nd 2019. 8 team hasn't moved Telford 41 17 14 10 64 54 10 65 DDrew 1 - 1 against Chorley on April 6th 2019.DDrew 1 - 1 against Altrincham on April 9th 2019.WWon 3 - 1 against Curzon Ashton on April 13th 2019.DDrew 1 - 1 against Hereford on April 20th 2019.DDrew 0 - 0 against Alfreton Town on April 22nd 2019. 9 team hasn't moved Chester 41 16 13 12 58 60 -2 61 WWon 3 - 2 against Nuneaton Borough on April 6th 2019.LLost 0 - 6 against Stockport County on April 9th 2019.DDrew 2 - 2 against York City on April 13th 2019.WWon 3 - 0 against Ashton United on April 19th 2019.DDrew 0 - 0 against Brackley Town on April 22nd 2019. 10 team hasn't moved Kidderminster 41 17 9 15 67 60 7 60 LLost 1 - 2 against Altrincham on March 30th 2019.WWon 3 - 0 against Bradford (Park Avenue) on April 6th 2019.WWon 1 - 0 against FC United of Manchester on April 13th 2019.LLost 1 - 2 against Leamington on April 19th 2019.DDrew 2 - 2 against Southport on April 22nd 2019. 11 team hasn't moved Boston United 41 16 7 18 60 60 0 55 WWon 4 - 1 against Curzon Ashton on March 30th 2019.LLost 0 - 3 against Blyth Spartans on April 6th 2019.LLost 0 - 2 against Darlington on April 13th 2019.LLost 0 - 2 against Brackley Town on April 19th 2019.WWon 2 - 1 against Ashton United on April 22nd 2019. 12 team hasn't moved York 41 15 10 16 57 63 -6 55 DDrew 1 - 1 against Guiseley on March 30th 2019.WWon 1 - 0 against Southport on April 6th 2019.DDrew 2 - 2 against Chester on April 13th 2019.LLost 2 - 3 against Spennymoor Town on April 19th 2019.WWon 3 - 1 against Bradford (Park Avenue) on April 22nd 2019. 13 team hasn't moved Southport 41 13 14 14 57 53 4 53 DDrew 0 - 0 against Brackley Town on March 30th 2019.LLost 0 - 1 against York City on April 6th 2019.WWon 1 - 0 against Hereford on April 13th 2019.WWon 3 - 0 against Curzon Ashton on April 19th 2019.DDrew 2 - 2 against Kidderminster Harriers on April 22nd 2019. 14 team hasn't moved Leamington 41 13 14 14 56 59 -3 53 WWon 1 - 0 against Ashton United on March 30th 2019.DDrew 1 - 1 against Curzon Ashton on April 6th 2019.WWon 3 - 1 against Alfreton Town on April 13th 2019.WWon 2 - 1 against Kidderminster Harriers on April 19th 2019.WWon 3 - 0 against Nuneaton Borough on April 22nd 2019. 15 team hasn't moved Alfreton 41 13 11 17 51 65 -14 50 LLost 0 - 7 against Altrincham on April 6th 2019.DDrew 1 - 1 against Hereford on April 9th 2019.LLost 1 - 3 against Leamington on April 13th 2019.LLost 2 - 3 against FC United of Manchester on April 20th 2019.DDrew 0 - 0 against AFC Telford United on April 22nd 2019. 16 team hasn't moved Darlington 41 12 13 16 55 61 -6 49 LLost 0 - 2 against Stockport County on March 30th 2019.WWon 2 - 0 against FC United of Manchester on April 6th 2019.WWon 2 - 0 against Boston United on April 13th 2019.WWon 1 - 0 against Bradford (Park Avenue) on April 19th 2019.LLost 0 - 1 against Guiseley on April 22nd 2019. 17 team hasn't moved Hereford 41 11 16 14 47 56 -9 49 DDrew 2 - 2 against Stockport County on April 6th 2019.DDrew 1 - 1 against Alfreton Town on April 9th 2019.LLost 0 - 1 against Southport on April 13th 2019.DDrew 1 - 1 against AFC Telford United on April 20th 2019.DDrew 1 - 1 against Altrincham on April 22nd 2019. 18 team hasn't moved Curzon Ashton 41 13 10 18 44 66 -22 49 LLost 1 - 3 against Blyth Spartans on April 1st 2019.DDrew 1 - 1 against Leamington on April 6th 2019.LLost 1 - 3 against AFC Telford United on April 13th 2019.LLost 0 - 3 against Southport on April 19th 2019.LLost 0 - 2 against Stockport County on April 22nd 2019. 19 team hasn't moved Guiseley 41 8 17 16 44 59 -15 41 LLost 2 - 3 against Spennymoor Town on April 2nd 2019.LLost 0 - 2 against Brackley Town on April 6th 2019.DDrew 1 - 1 against Ashton United on April 13th 2019.LLost 0 - 2 against Blyth Spartans on April 19th 2019.WWon 1 - 0 against Darlington on April 22nd 2019. 20 team hasn't moved FC United of Manchester 41 8 10 23 49 81 -32 34 LLost 0 - 4 against Nuneaton Borough on March 30th 2019.LLost 0 - 2 against Darlington on April 6th 2019.LLost 0 - 1 against Kidderminster Harriers on April 13th 2019.WWon 3 - 2 against Alfreton Town on April 20th 2019.LLost 1 - 2 against Blyth Spartans on April 22nd 2019. 21 team hasn't moved Ashton United 41 9 7 25 42 85 -43 34 LLost 0 - 1 against Leamington on March 30th 2019.WWon 3 - 0 against Spennymoor Town on April 6th 2019.DDrew 1 - 1 against Guiseley on April 13th 2019.LLost 0 - 3 against Chester on April 19th 2019.LLost 1 - 2 against Boston United on April 22nd 2019. 22 team hasn't moved Nuneaton 41 4 7 30 38 93 -55 19 LLost 2 - 3 against Chester on April 6th 2019.LLost 1 - 4 against Blyth Spartans on April 9th 2019.LLost 0 - 1 against Bradford (Park Avenue) on April 13th 2019.LLost 0 - 2 against Altrincham on April 20th 2019.LLost 0 - 3 against Leamington on April 22nd 2019.